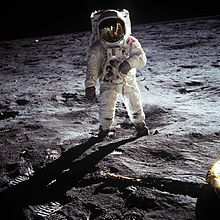 On Sunday (20th July) it is the 45th anniversary of the first manned Moon landing. To commemorate this. 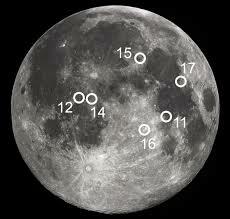 I thought that I’d re-post my article from 4th June which discussed the first Moon landings. I hope you enjoy reading or re-reading it. My next article, which I will post next week, will be on the subject of space tourism. By achieving this goal of landing a man on the moon, which was incredibly ambitious given that in May 1961 America has not yet place a man in orbit, the United States would show to the whole world that it had gained supremacy over the Soviet Union in space exploration. 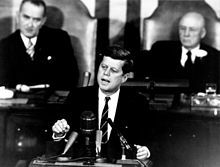 To achieve Kennedy’s goal, the American government funded the largest commitment every undertaken by a nation in peacetime. At its peak the programme employed nearly half a million people and its total cost (in 2014 dollars) was around $130 billion. On their return to Earth, the astronauts were treated as heroes – but they also had to spend three weeks in quarantine, just in case they had picked up any strange and potentially dangerous diseases on in the Moon. After that they went on a world tour in September and October, and met many prominent leaders, such as Queen Elizabeth II. Another victim of the spending cuts was the Moon base, which NASA had been hoping to build on the Moon in around 1980. This Moon base would gradually be extended, over the following years and decades, until it became a fully fledged lunar colony. The intention was that one day people would actually live on the Moon, but these plans were brought to a halt in the early 1970s, purely because of the cost. Not only that, but for the last 42 years no astronaut has ventured more than a few hundred miles above the surface of the Earth. In fact, there is so much to say about Chinese plans to explore space that I dealt with this in a separate post “Chinese Manned Spaceflight” which was posted on 16 June 2014. Great post… Thanks! It is a shame that we never went back to the moon. Thank you for your comment. 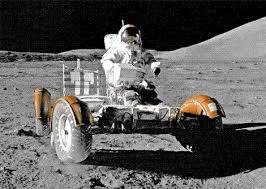 I too find it sad that we haven’t been back to the Moon since the last Apollo mission in 1972. Certainly for last 20 years or so the US manned space programme seems to have been lacking a clear goal.